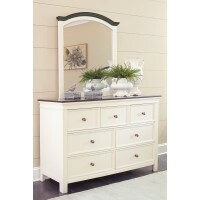 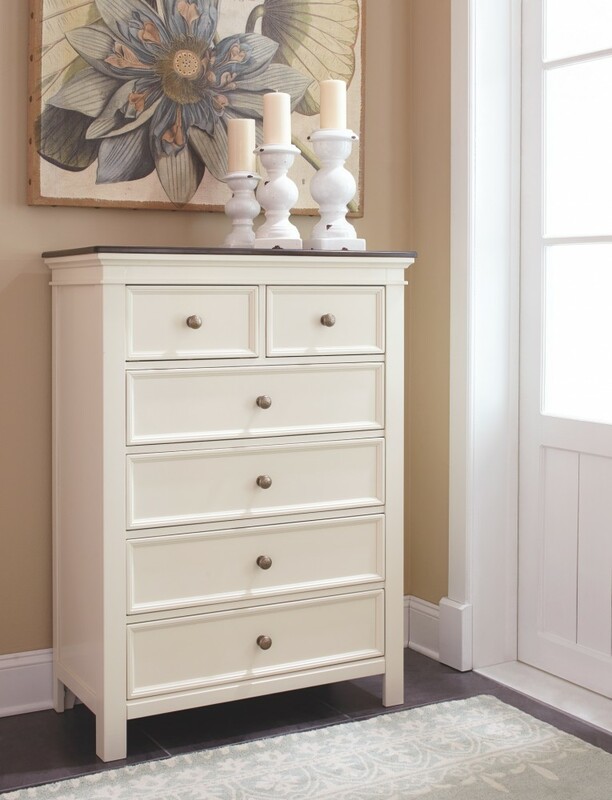 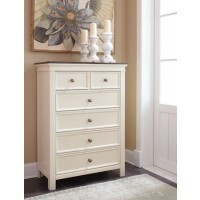 This chest of drawer’s stance on cottage-quaint style is a breath of fresh air. 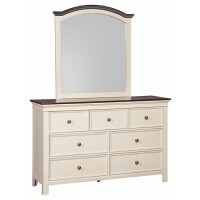 Its crisp, linear profile is beautified with picture frame drawer fronts and bronze-tone knobs. 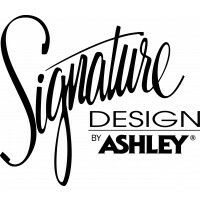 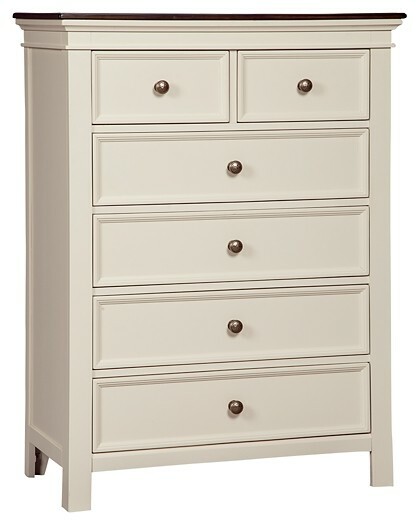 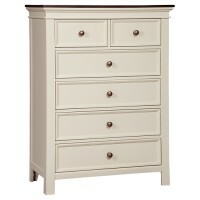 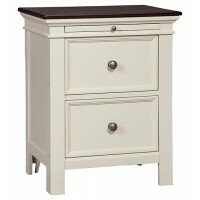 But what’s really distinctive: its wood tone over antique white finish exuding richness and added dimension.